OPEC’s oil production cut agreement could start falling apart soon, as Saudi Arabia and Iran once again face off. This time, however, the spat is over determining what the best price level is for the commodity. That’s what Iran’s Oil Minister Bijan Zanganeh told the Wall Street Journal in an interview. 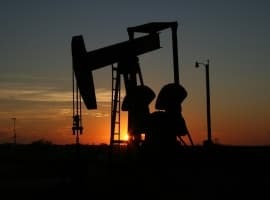 The split, apparently, stems from Saudi Arabia’s insistence that crude oil should be kept closer to US$70 a barrel—a level Brent touched briefly early this year—and Iran’s equal insistence that US$60 is a better place for oil to trade at. This disagreement could see the cartel start unwinding the cuts as early as June, when it will meet with its partners to discuss progress and next steps. Zanganeh’s explanation of the Iranian stance is anything but a surprise: “If the price jumps [to] around $70 ... it will motivate more production in shale oil in the United States,” he told the WSJ. Zanganeh is not wrong, but the problem is that U.S. drillers have demonstrated that they could pump more at US$60 a barrel, too, so bringing prices closer to that level is not a guaranteed way to stymie U.S. oil production growth. Production has been growing steadily, last week hitting 10.37 million bpd. Related: Glut Or Deficit: Where Are Oil Markets Headed? The oil production in the United States is not the only problem. The bigger problem is soaring U.S. exports that are eating away the market share of OPEC members. This could be the last drop to swing OPEC in Iran’s favor. lol, what is Iran going to do about it? They are losing investment, already sold all their storage and can't influence the price of oil if they wanted to. The OPEC/non-OPEC production cut agreement is here to stay long beyond 2018 but in a format which reflects changing market conditions such as a fully re-balanced oil market and rising oil prices. The Iranian oi minister, Bijan Zanganeh, has a tendency to utter some opinions just to tell the world that he has some influence in OPEC when in fact it is Saudi Arabia that pulls the strings inside OPEC. The Iranian oil minister is wrong to suggest a price of $60 a barrel. Iran and other OPEC members need an oil price far above $100 to balance their budgets. He is also wrong in thinking that a price of $60 will deter US shale oil producers from continuing to produce. He should understand that US shale oil producers are very deep in debts to the tune of far more than $200 bn. They have to continue production irrespective of the oil price so as to be able to pay old debts and get new loans. They are robbing Peter to pay Paul. Without this they go bankrupt. Saudi Arabia’s oil price of $70 is only a starting point. They need a minimum price of $70 or even higher for a successful IPO of Saudi Aramco though I have been the only oil expert in the world suggesting for quite a while that Saudi Arabia is going to withdraw the IPO altogether. A fair oil price, in my opinion, is $100-$130/barrel. Such a price enables oil producers to invest in oil exploration and capacity expansion so as to be able to meet rising global oil demand in coming years, enhances global investments and gives incentives to the global oil industry to invest in new projects. In so doing, they stimulate growth in the global economy. The continued hype about US oil production is being now extended to US oil exports. How could US oil exports to Asia be displacing OPEC’s when total US exports worldwide average 1.5 million barrels a day (mbd) of which only 200,000 barrels a day (b/d) go to China. This compares with 75% or 16.5 mbd of OPEC exports that go to Asia. Although I try not to be, I typically remain bearish but on this article's headline I insist on a more bullish outlook. The reason why the production cuts will not only continue through 2018 but into 2019 is so that the Saudi's can get their $70+/bbl on WTI for the 5% sale of Aramco towards MBS' 'Vision 2030'. That, and with oil in a narrow-sideways channel between $60 and $65, it is possible for prices to break below $60 by the time this meeting is in session, which means no member of OPEC will agree to exit the production cuts. As per Dr. Salameh's comment, I generally tend to agree with his perspective but I absolutely must counter the argument for $100-$130/bbl oil as this is not sustainable by the American people, let alone the rest of the world. I understand his reasoning, but it is not necessary to return to price levels closer to July of 2008 (all-time highs). If you disagree with me, just consider if someone on here suggested such a dramatic decrease in prices to be the norm...most would mock the very idea and others would be quite angered. I don't think Aramco will be sold in an IPO. Even if there is an IPO, it is likely to exclude the oil wells but only include the refinery or other business. 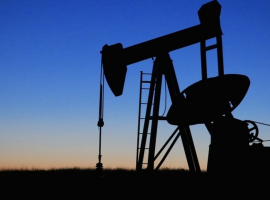 Ownership of oil wells is likely to be excluded.